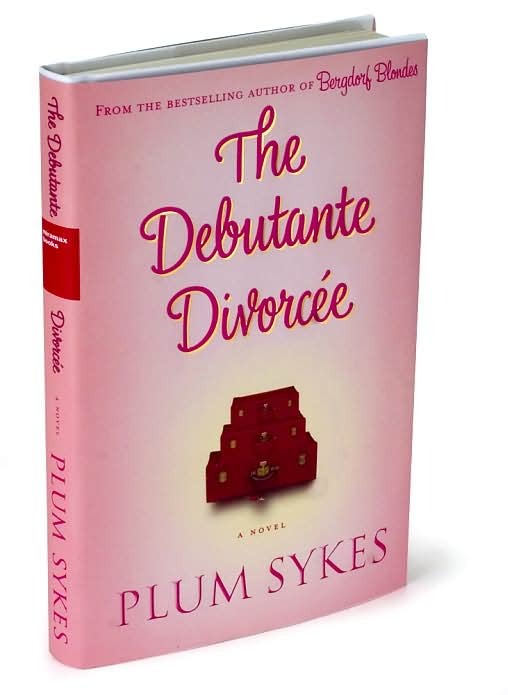 “It’s quite stressful being glamorous all the time, you know,” says celebrity author Plum Sykes. She should know. 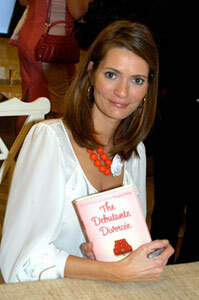 She has a brand new hit book about the rarified world of the socialite, The Debutante Divorcee. As a follow-up to her freshman hit, Bergdorf Blondes, it continues to reveal, amuse and capture insight into the world of The Beautiful People. It’s a world she knows well from growing up in London, being educated at Oxford and working for magazines like Vogue andVanity Fair. What you may not know about Plum Sykes is that she’s genuinely funny and has some of the most important names in pop culture, all dear friends, on speed dial. And many of them are Texans, too. You know their bold face names from the social rags and the celebrity weeklies. Recently, over breakfast at the Four Seasons in Houston, we met to discuss her new book and share stories about fashion, our mutual VIP pals across the world. Later that evening Becca and John Thrash, along with Ferragamo, hosted a party in Sykes’ honor that people are still talking about. LAM: Plum, so great to see you – I missed you in Houston at Allison Sarofim’s house and in Dallas at Calvin Klein when you were here last promoting Bergdorf Blondes. Everyone I know has enjoyed reading your books. You seem like the new Jacqueline Susan, who also wrote about the Jet Set. Are you? PS: Oh my God, thank you so much. Well there was a total Valley of the Dolls inspiration in that. LAM: When you wrote Bergdorf Blondes, did you find that you had so much information swirling around in your head that you just had to create an outlet for it, and that’s why you wrote the book? PS: I think it wasn’t as much that I thought, ‘I have so much information.’ It was I thought, ‘I’ve got a really good inspiration here which is a comedy of New York society, and no one else is doing it.’ At that point, which was right after 9/11 when I was thinking about it, it was very unfashionable to write anything funny or frivolous, which was why I thought I should do it. It was risky, at the time. But I thought we all really needed a laugh. I mean it was so depressing in New York, and it was scary, too. I was so scared the whole time, so I was really just trying to cheer myself up, you know? And that’s really why I wrote it.... for fun. Well then I sort of realized, this might cheer others up too, and it did. And I do think there is a real market for you know, glamorous comedies, partly because no one’s doing them. LAM: Are you and your husband, Toby, living full time in New York? PS: Actually we live between London and New York. We have a house in London, and an apartment in New York, so I basically do all the kind of research and work in America, and the promoting, then I go and sit in London and do the writing because it’s much quieter there. And we have a house in the country. PS: I literally get up at quarter to seven with Toby, and then we go out to breakfast. We do the same when we’re in New York, as well. We go out to breakfast, we read the newspapers, then I go back to the house where I have my office, and I sit in my office until about one o’clock, where I write. If I’m in the middle of a book , which of course I’m not right now, I’ll have lunch and to be honest, in the afternoons I do something completely different. Like, I’ll make business calls, because you can’t really keep writing for eight hours a day. LAM: So you’re not working on your third book now? PS: It’s kind of just in my head, but I think actually you shouldn’t really talk about it until you’ve actually done it, because otherwise, you give all of your energy away talking about it, instead of keeping it for writing about it. LAM: By the way, congratulations are in order, I understand you and Toby are pregnant…maybe your third book will be about being a mother? PS: I suppose so, but I think that you don’t want to write about yourself too much in a novel because you’re going run out of inspiration. So many people have said to me ‘No you haven’t, you can write a book about babies,’ and I’m thinking, do you know how many books there are about babies that no one has read, and are they are the most boring things in the world? All of these books, called things like, The Rise and Fall of the Yummy Mummy. I can’t think of reading anything more boring, and actually you know I know exactly what my next book is. I’m not writing about domestic life, that’s not what interests me, and I don’t think it necessarily makes a great drama. There are lots and lots of books out there about housewives in the kitchen, and I’m really happy for someone else to write them, and frankly no one’s going to read them, and I’m in it as a business. I want people to read them. LAM. I love that our readers are getting a sneak peek about your third book. Noel Coward, said that there are no second acts in life, but you are proving that wrong with this second book that’s destined to become another best seller. And we have some mutual friends in common who have inspired some of the characters for this book. Like Alison Sarofim? PS: Oh, you’re good. Allison Sarofim’s decorating style is very influential, and her Halloween party. In this book, I slightly stole the disco ball from Allison, and the jewels. When Allison did her Halloween party, she dressed up as Rollergirl. So I just threw Rollergirl into the book. And she was wearing the Duchess of Windsor’s diamond charm. LAM: It’s beautiful. Is your entire family very creative? PS: On mum’s side of the family, they were all sort of artists. Like my grandmothers, aunts and things were like sort of quite well known painters in the William Morris days. And on my father’s side, they were all writers, so it’s sort of like a fashion…I mean I definitely think I’m totally a product of nurture, you know, fashion meets writing. LAM: Speaking of fashion meets writing, tell me about working at Vogue. PS: I’ve had such a good time, but it was also very, very stressful, you know. It is very, very glamorous, but it’s quite stressful being glamorous all the time. You know what I mean, it’s why I love work. And I do quite like the fact that now, I can actually just get up in a pair of jeans… that’s usual for the writing thing. At Vogue, you do have to sort of make like a huge effort every day, and it’s fun. LAM: You have to out-Vogue the others? PS: I’m not really a very competitive person, so it’s not really like that but you definitely wanted to keep trying new outfits because that’s what you’re writing about. Like you want to keep trying a new holiday. It always annoys me so much with the IRS that you can’t tax-deduct the clothes if you work for Vogue because actually it is your job to wear the clothes, and I would wear these things and then that gave them the ideas for the article. LAM: So clothes kind of take on their own life? PS: Well, yes. A story starts creating itself because of what you’re wearing. I mean I just wrote about all the buttons falling off my most expensive coat. LAM: How did that happen? PS: Because it’s junk. Because, honestly, things are not properly made. That’s why I love the homemade things because someone sews on these buttons with their bare hands, and they actually stay on. LAM: You know, I was just having that conversion with my mom at Easter about the quality of clothes. It’s so ironic that what used to be considered normal, well made clothes is now considered couture. LAM: Don’t you think that’s nuts? PS: Zac Posen and I were just talking about that. Why is it if you go into Oscar De La Renta in New York that you can buy a fabulous blouse, or you can buy a fabulous party dress? It’s expensive, don’t get me wrong, but it’s reasonable because of the quality. But if you buy a knock off, it’s $750, which is a lot of money for a blouse. But if you bought that at Dolce & Gabanna, it would be two or three thousand for that same blouse. If you go and buy a dress at Oscar, it’s $2,000, or you can get a dress for at Dolce for $5,000. With that said, basically what’s happened is that Oscar is strictly in the clothing business. LAM: He’s not distracted by all the other licensing then? PS: Right, he’s not in the handbag business, he’s not into sunglasses. I think he’s got a perfume, but that’s about it. So, he has to make the clothes sell, so he has to make the prices accessible. Dolce & Gabanna is in the handbag business, Louis Vuitton is in the handbag business. Marc Jacobs is in the handbag business, too, so all they care about is shifting hundreds of thousands of units of bags, and they can make the clothes any price they want because they’re not trying to sell clothes. And people think just because it’s expensive it’s well made. It’s expensive because they’re in the handbag business, and Zac was saying that at the high end of fashion, the most business you can do is twenty five million dollars a year, which is obviously not a very big business when all is said and done because you want to have a five hundred million dollar a year business, if you want your boat. You know… Zac wants his boat. LAM: By boat, you mean yacht. How about entertaining? What do you think about it? PS: I love entertaining people for the weekends at out cottage in the country, and my hostess tips are to make the bedroom that your guests sleep in really, really cool. The guest bedroom in our house is the maddest thing. They arrive at this stone cottage built in 1790 in the valley, then they get taken into their bedroom, and they’ve got this bed that was lent to me which is Swarovski crystal all around the mattress. It’s beyond Las Vegas. My sister-in-law Sasha, is a furniture designer and she made me these perfect two quilted lavender side tables. LAM: Plum, thanks for your time and we I know the rest of the world can’t wait to dive into your latest creation.